NEW YORK, March 19, 2018 /PRNewswire/ -- W. P. Carey Inc. (NYSE:WPC), an internally-managed net lease real estate investment trust, announced today that Robert J. Flanagan has been elected a director of the company. Mr. Flanagan is President of Clark Enterprises Inc., a private investment firm with a diversified portfolio of holdings including real estate and private equity. As Managing Director of CNF Investments LLC, its private equity division, he serves on the boards of Brown Advisory, Svelte Medical Systems and Vascular Therapies. 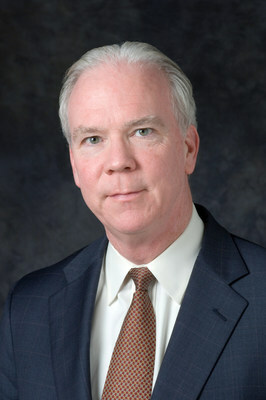 Mr. Flanagan is a member of the Board of Advisors of Georgetown University's McDonough School of Business. As a board member of the A. James & Alice B. Clark Foundation, which invests in engineering education, veterans support and the Washington, DC community, he oversees the vetting of organizations that provide substantive services to U.S. military veterans and their families. Mr. Flanagan previously served as Chairman of the Board of Directors of Washington, DC's Federal City Council, was a board member of two publicly traded companies, Martek Biosciences Corporation and Sagent Pharmaceuticals, and was Treasurer, Secretary and a member of the Board of Directors of Baltimore Orioles, Inc.
Mr. Flanagan received a BS in Business Administration from Georgetown University, an MS in Taxation from the American University School of Business and is a Certified Public Accountant licensed in Washington, DC. Commenting on the election of Mr. Flanagan, W. P. Carey Chief Executive Officer Jason Fox noted: "We are thrilled to welcome Bob to W. P. Carey's Board of Directors. Bob brings an extensive real estate and management background as well as a diverse range of board affiliations and experience. In addition, his work with the A. James & Alice B. Clark Foundation and commitment to philanthropy is consistent with our core value of Doing Good While Doing Well®. As one of today's largest diversified net lease REITs, I know we will benefit from his valuable perspective and insights."